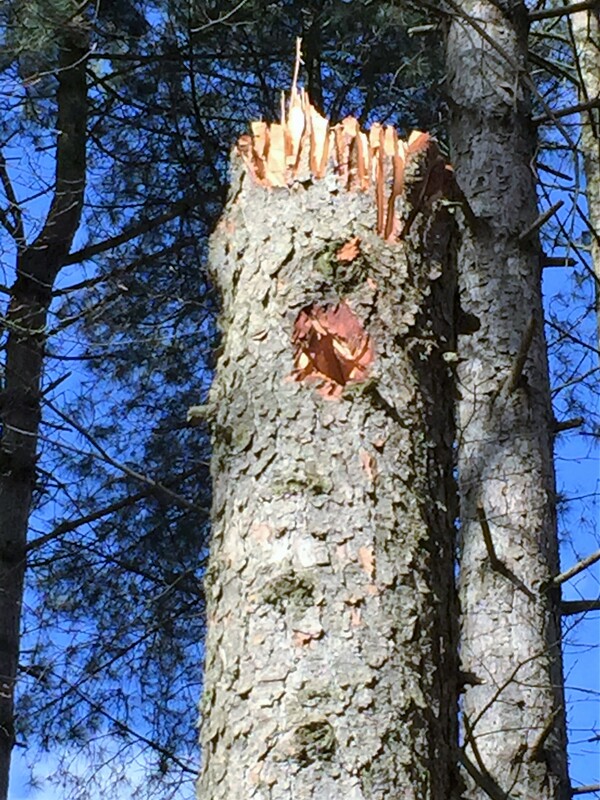 The job was to carry out the remedial works after a tree risk assessment survey had been completed, the work involved some deadwood removal, some sectional felling and some crown reduction work. The trees were located in and around a park. We decided to use a MEWP for the majority of the works as some of the trees were dead and others had a lot of fungal fruiting bodies making them unsafe to climb. We used a three man team on this job one IPAF qualified MEWP (Mobile Elevated Work Platform) operative and two ground staff responsible for cross cutting and stacking the brash and wood into habitat piles, we try to do this on a lot of our jobs now creating homes for small animals etc. The picture show a coronet cut making the tree look like it has had a natural fracture, this creates little pockets and cracks for insects to live, we also bored a hole in the trunk this can also help attract insects and even nesting birds. The work took the team approximately two weeks to complete and had to be completed before bird nesting season as the trees we were working on contained lots of natural habitat for nesting birds and even bats, even though the work was being done out of nesting season will still inspected every cavity etc for wildlife. Norfolk Trees was established in 2002 by Ashley Barnes and we operate throughout Norfolk and East Anglia.